MUMBAI: Indian Idol 5 winner Sreerama Chandra Mynampati’s first item song ‘Balma’ from Akshay Kumar’s upcoming movie ‘Khiladi 786’ went viral after its release on digital media and has now become a hit. Youtube. It is a big song of a big movie for a big actor. I enjoyed the experience of rendering the track with Shreya Ghoshal on Himesh Reshammiya’s composition." 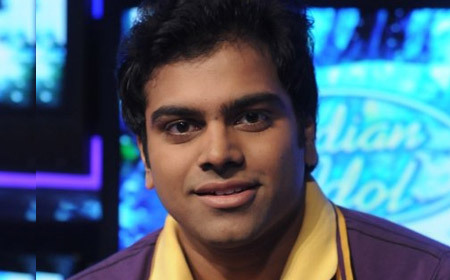 Sreeram who is now working on a few more songs has a long way to go not just in the music industry but also in acting as the singer has started shooting for his second Telugu film ‘Preme Geema Jaanta Nai’. His debut film ‘Jagadguru Adi Sankara’ will release soon. While taking the dual role of acting and singing, he aims not to comprise with singing. He says, “ I will definitely sing in both the movies.” Playback singer turned actor is also getting offers and is comfortable singing in Punjabi, Hindi, Telugu, Kannada and Tamil. Sreeram’s future projects include two Hindi songs for renowned composer Pritam and 4-5 Telugu songs.